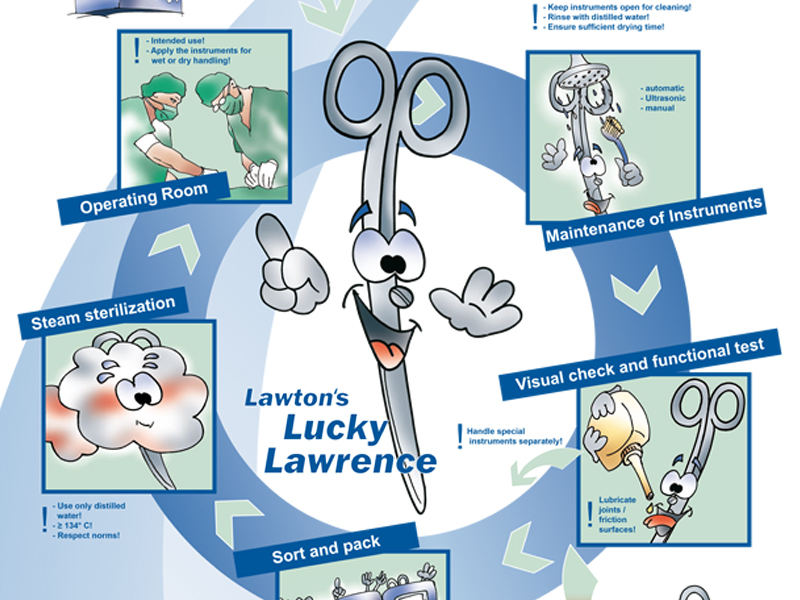 Basic rules for proper care and maintenance of surgical instruments are shown briefly on our poster “Instrument maintenance - Lucky Lawrence“. 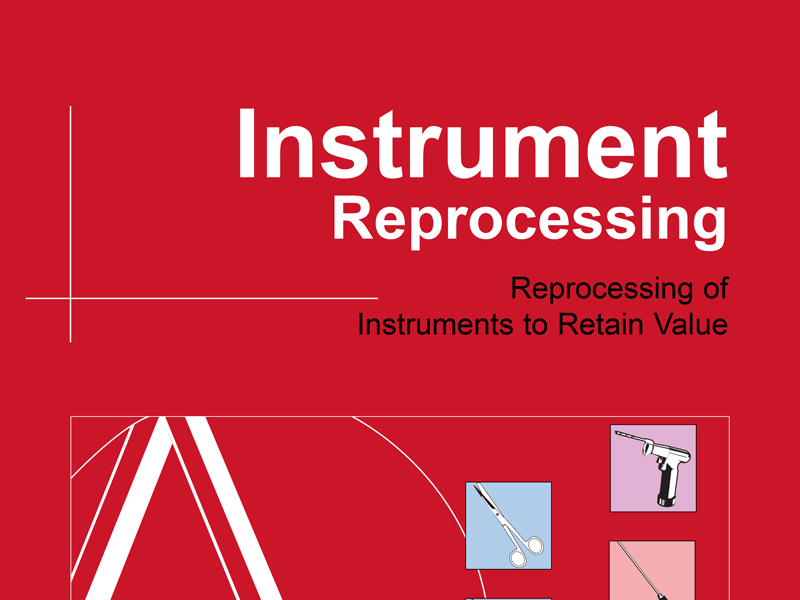 We recommend the red brochure “Instrument Reprocessing - Reprocessing of Instruments to Retain Value“ - 10th edition 2012 - for more information regarding reprocessing, maintenance and care. This brochure provides detailed instructions for proper handling of instruments, i.e. basically information about the selection of material, the handling and care of instruments and subsequently information to retain the value of instruments. 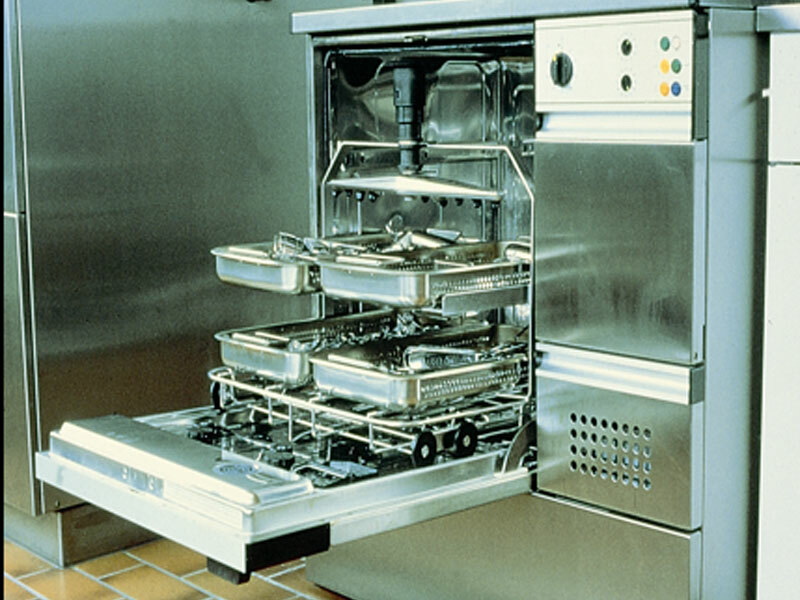 After each cleaning procedure and before sterilisation all movable parts of the instruments should be cared with physiologically safe special oil or with instrument milk like e.g. our PREP LUBE. PREP LUBE is an emulsified lubrication oil, formulated specifically to lubricate and protect surgical instruments.